The University of Melbourne has launched Expert Hack, a nine part podcasting series interviewing Australian innovators and change makers. University of Melbourne are today launching a brand new weekly podcast series profiling some of the Australia’s most successful innovators and change makers, called Expert Hack. Running across nine weeks, Expert Hack examines the future of the world’s fastest-changing industries from the perspective of successful university alumni in each field, providing clever solutions to tricky problems in Australia’s fastest-changing industries. 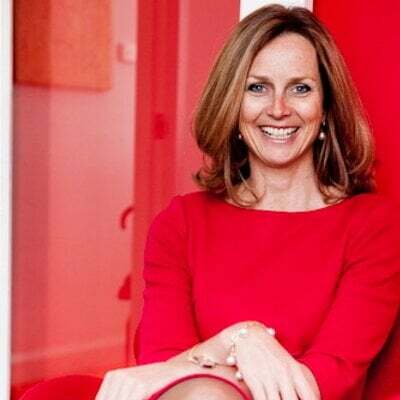 The series kicks off with Shark Tank host and RedBalloon founder Naomi Simson, who provides some fascinating insight into her university years and how valuable she found them in building the basic skills of entrepreneurship. Shortly following will be Former Victorian Premier The Hon. John Brumby AO and former President of the Australian Human Rights Commission Gillian Triggs on the fracturing of our political system and the growing need for hard evidence in a post-truth world. Shark Tank’s Naomi Simson and Brosa’s Ivan Lim on why getting back to basics is still the most effective form of entrepreneurship. Former Victorian Premier The Hon. John Brumby AO and former President of the Australian Human Rights Commission Gillian Triggs on the fracturing of our political system and the growing need for hard evidence in a post-truth world. Hayley Purbrick and Dr Sigfredo Fuentes on the surprising lessons that winemaking and precision agriculture can teach you about decision-making. Tomorrow’s scientist – leading outside the lab. Professor Robin Batterham AO and Dr Cathy Foley on how science literacy can set you up for life. How to think outside of the box and jump into the unknown. With Leigh Clifford AO and Kerry Halupka. The evolution of personal healthcare. With Professors Doug Hilton and Ingrid Winship. How one school showed Australia why it pays to be open to learning from the most unexpected situations. With Michael Muscat, Grace Wong and Maxine McKew. How artists are influencing social change and what you can learn about politics, activism, and high fashion. With Professor Sally Smart.